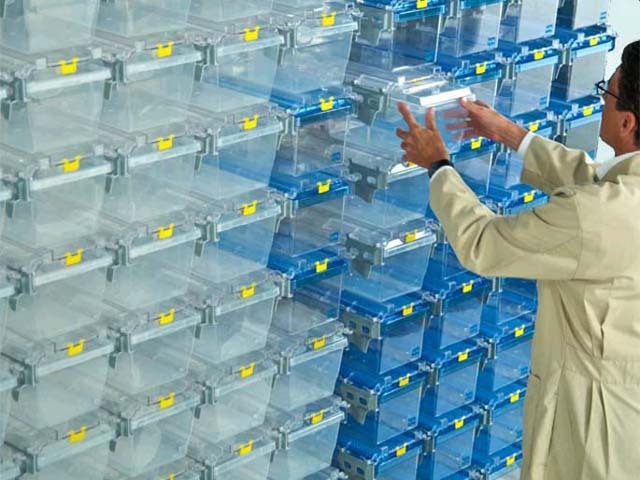 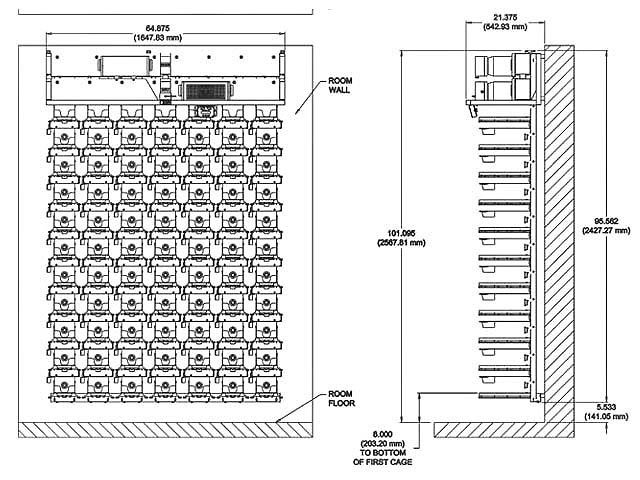 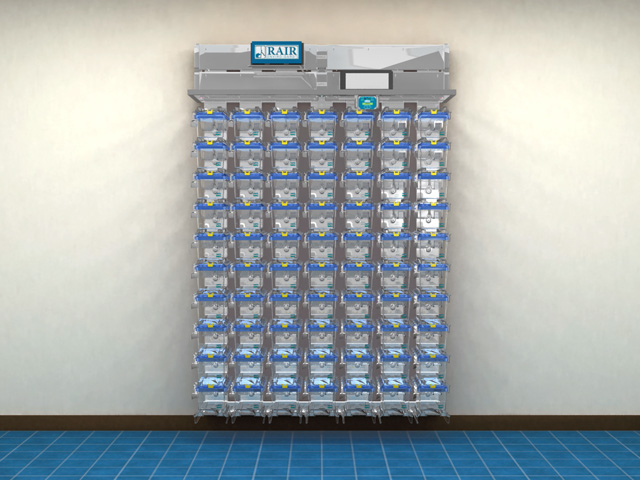 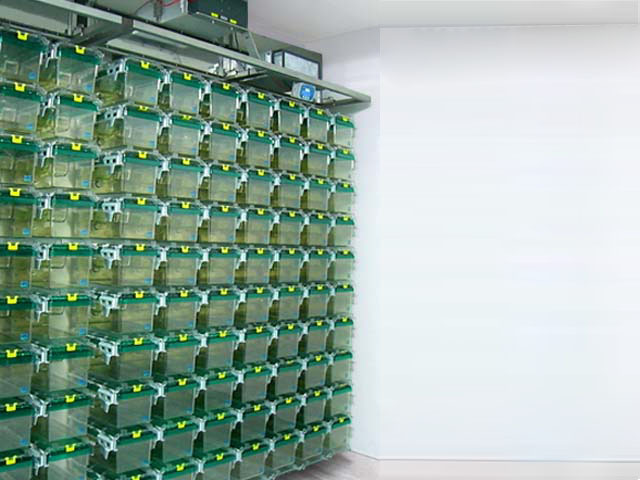 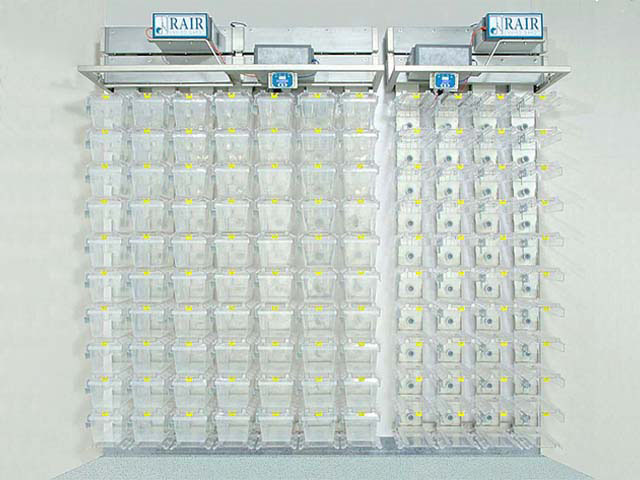 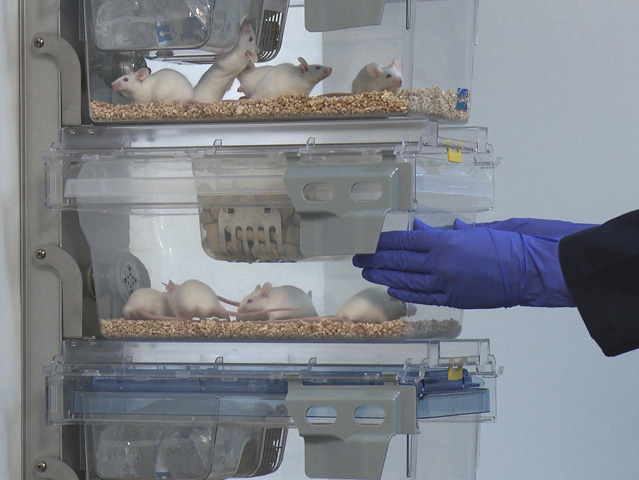 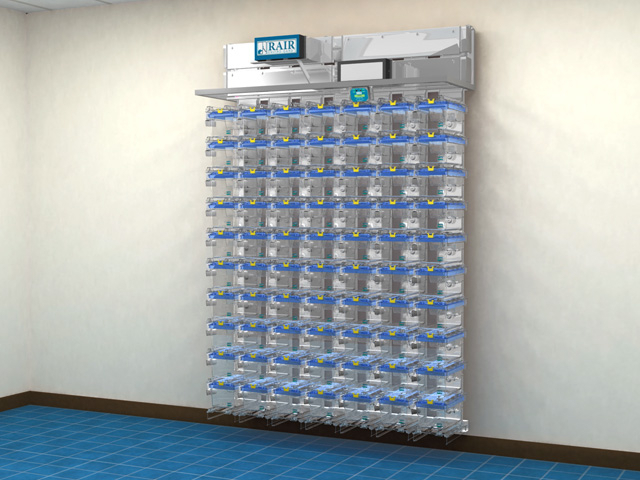 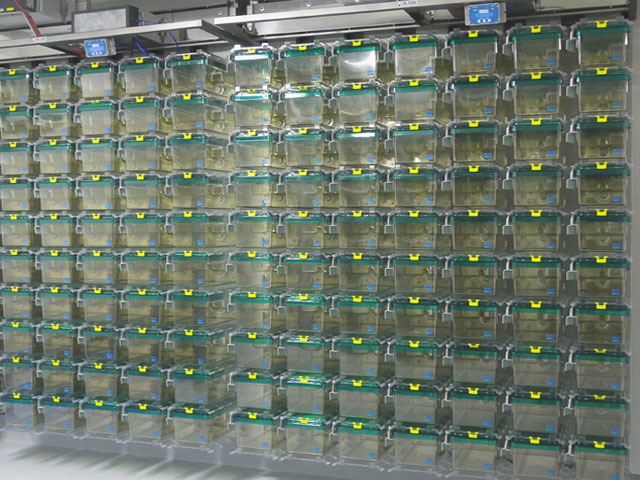 RAIR IsoSystem™ Wall Mounted Ventilated Racks and Cages for rodents. 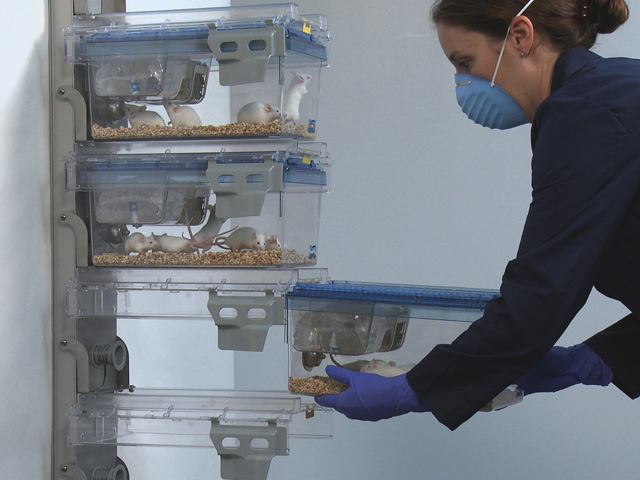 RAIR IsoSystem™ Wall Mounted Systems deliver major advantages for increasing your holding room cage densities and reducing your overall animal care costs. 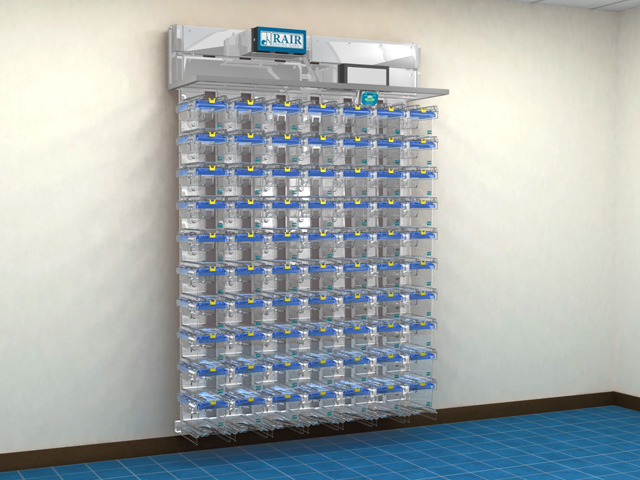 Observe your animals with complete unobstructed access, with all load-bearing structures located at the back of the rack. 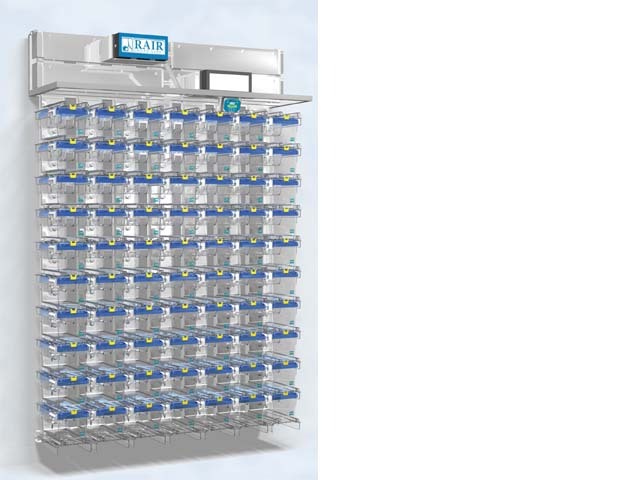 Exchange cages with the greatest of ease, without any columns or bars to work around. 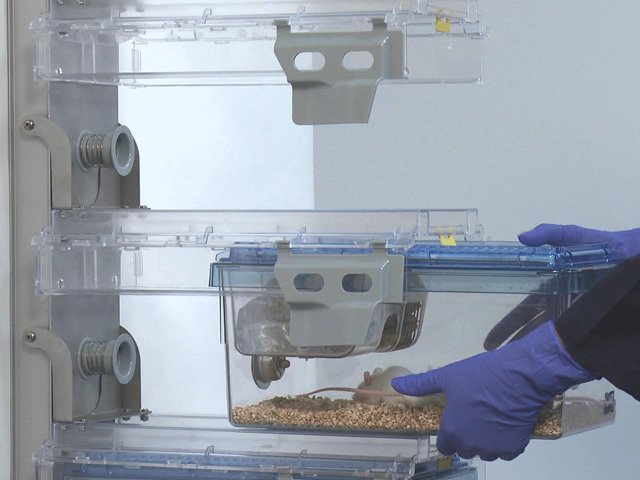 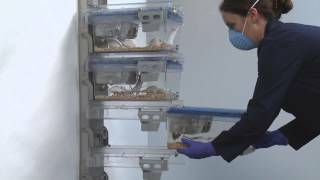 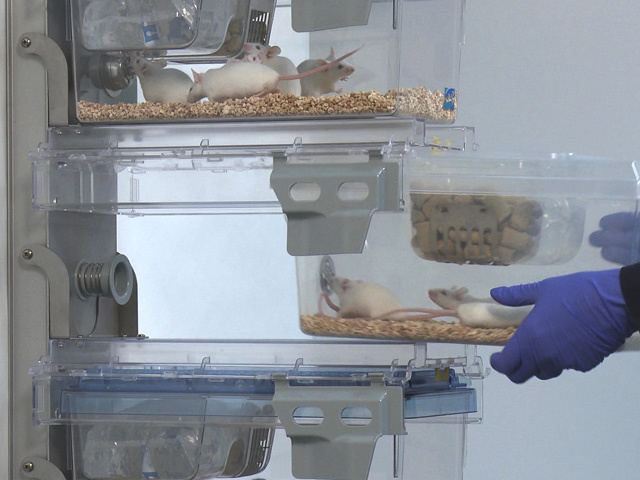 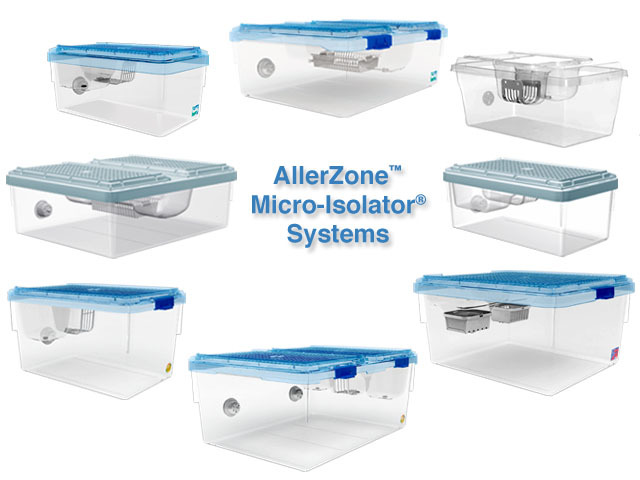 Choose from a wide range of Micro-Isolator® systems including Species-flexible™ cages for all your mice, rats, hamsters and guinea pigs. 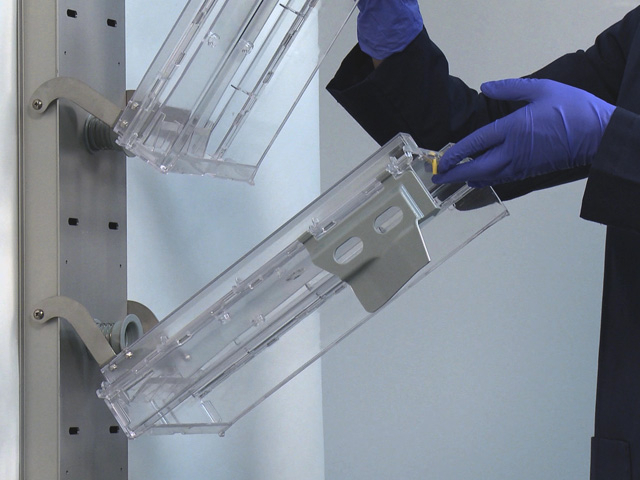 Click the image to view the full size photo gallery.